as much as we describe them. What is Branding and how do we approach it? We see branding as the process that defines the elements - sensory, language and actions - that identify a brand. We see companies as a projection of the people that make up that company. Therefore, companies have values, behaviors, dress codes and different ways of speaking, which all together define their personality. Personality is the set of traits and qualities that shape a person's way of being - or a company's - and sets them apart from the rest. 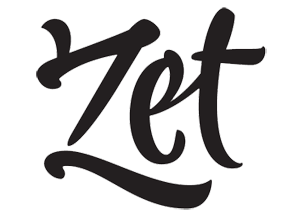 Here at ZET, we develop the brand and together with the customer we define the set of values, objectives and actions that set them apart from the rest. We create a strong visual identity and a set of messages to clearly and accurately communicate the value of your company or product. We develop your brand's design, which in a person would be their look and wardrobe. We provide a visual, graphic, print and digital identity, as well as sensory elements such as lighting, music, textures and odors to guarantee a complete user experience. We define the way your brand speaks and communicates. The words you use, the tone and your discourse. We define the statements and promises that define a brand's experience and personality. We conduct interviews, draft text, edit and translate. We define the actions that must be taken to communicate your brand's values and message. We provide a communications plan, MKT plan, social media management, internal communication and define the customer experience.